We just filmed the final episode of Season 2 of Rock & Roll Road Trip and it went really well – the interview with Adam Levine and his car was very up close and personal, then later at the studio where Maroon 5 is recording we did some more interview and a performance of "Heard It Through The Grapevine" by Marvin Gaye. Richie Sambora and Orianthi popped in for a surprise guest jam on the song, very cool! Live from Conway Recording Studios where Sammy and Adam Levine are recording an episode of Sammy's Rock & Roll Road Trip, it's a live Q&A! 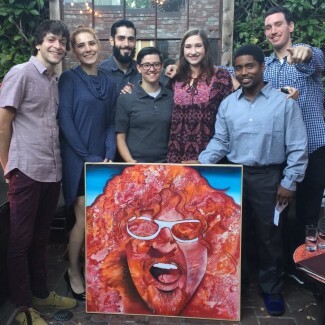 Season 2 continues Sunday July 9th and this episode with Adam is the finale! Enjoy the archive of the Q&A below. 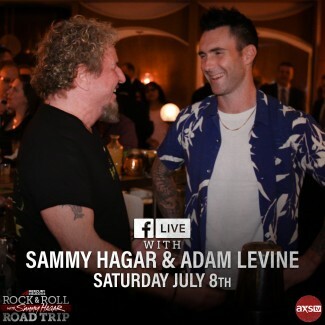 Rock & Roll Road Trip returns on July 9th and to kick it off, AXS TV will be hosting a special Facebook Live on Saturday, July 8th at 6pm PDT with Sammy and Adam Levine from the set of Rock & Roll Road Trip! Submit your questions below, and you could win a Rock & Roll Road Trip keychain!